The theme to Mission Impossible fascinates me and I’ve created a short video, exploring its musical language, to try and explain why it works so well. It’s a composition that manages to straddle tonality and chromaticism, yet still sound natural, accessible, listenable. I’m a big fan of video as a medium to communicate musical discussions, as it brings together all the elements of text, voice, music, notation, images and diagrams onto one stage. Have I missed anything, do you disagree with my analysis? Have your say! I’m not a lyrics kind of bloke! My wife can sing me line after line of songs we talk about, while I can barely remember a few words. I can however, sing her the riffs and countermelodies that make up the arrangement. In fact, I can listen to a song and wish the singer would shut up, so I can hear the instrumental arrangement (especially if there are strings in it). But I worked on a track earlier this year and I’m completely taken with the lyrics. It’s Match Made In Heaven, sung by Natalia Druyts. You’re the key to divinity, this must be my predestination. Is this the only song that manages to get ‘predestination’ in the lyric? Sophisticated for an English speaking audience, but damn impressive for a country where English is only the 2nd language. You’re so wholesome a potion I love drinking, bottoms up for you babe. Your devotion’s like lotion that soothes my skin. I know I won’t dehydrate when I’m drinking from you cup. The Pop Idol model produces many temporary artists, but Natalia is lasting, with a solid fanbase in Belgium and Holland. Interestingly when I tried to buy the tracks online I failed miserably. iTunes wouldn’t let me into any store other than the UK, and Google found numerous file sharing sites. 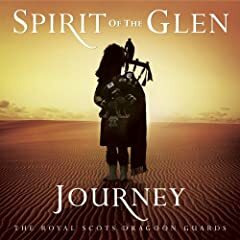 A quick mention for Jon Cohen’s album for the Royal Scots Dragoon Guards – Journey. I wrote briefly about this job last year (strings for 3 tracks were done by realstrings.com) and the album has been voted NSI album of the year in the Classical Brits awards 2009. I’ve worked with other artists and composers for whom the market is the Classic FM audience and I’ve heard how difficult it is to compete, so credit to Jon, Universal Records and the Royal Scots Dragoon Guards for this accolade.